Kyriba is the #1 provider of cloud treasury and financial management solutions. Kyriba empowers financial leaders and their teams with award-winning solutions for cash and risk management, payments and supply chain finance. 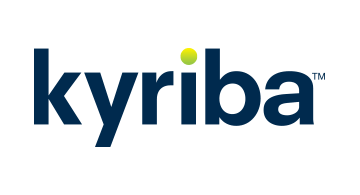 Kyriba delivers a highly secure, 100% SaaS enterprise platform, superior bank connectivity and a seamlessly integrated solution set for tackling today’s most complex financial challenges. More than 1,800 companies, including many of the world’s largest organizations, rely on Kyriba to streamline key processes, protect against loss from fraud and cybercrime, and accelerate growth opportunities through improved decision support. Kyriba is headquartered in New York, with offices in San Diego, Paris, London, Tokyo, Dubai and other major locations. For more information, visit www.kyriba.com.